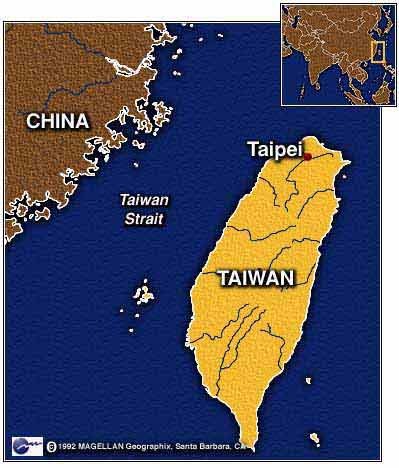 Taiwan: A Taiwanese soap opera which focuses on young aboriginals who move to urban communities goes to air on Monday. It could prove the biggest crowd-puller for the island's newly launched, first aboriginal television channel, which also claims to be the first indigenous television station in Asia. The soap opera, Hunter, follows the lives of two brothers from the Bunun tribe, who move from their rural home to the city to start a business. It deals with issues such as the clash of cultures, and discrimination, with a complicated love story thrown into the mix. The programme, which will air for an hour at 2000 local time on weekday nights, should have broad appeal both for aboriginal and non-aboriginal communities, say its makers. It is set to inform and even challenge people's views about the island's 12 aboriginal tribes, who account for less than 2% of the island's population of 23 million people. Aboriginal groups have often felt marginalised by mainstream society. But they hope the new 24-hour television channel - iTV or the Indigenous Television Network - will be a chance for others to hear their voice, both at home and overseas. The station will collaborate with other indigenous television networks around the world, including those in the US and Canada. The channel shows a mix of news, entertainment, and documentaries, giving the island's aboriginals their own access to the mainstream media for the first time. 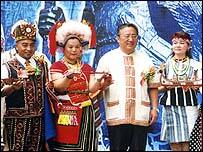 "There's a diversity of cultures in Taiwan," said Walis Peilin, who heads the Cabinet-level Council of Indigenous Peoples, and is a member of the Tayal tribe. "The indigenous people of Taiwan should also have the right to access the power of the media and pass on our unique culture and languages." "But we hope all different groups in Taiwan can support this station, and respect different ideas and each other," he said. The station was planned several years ago. It is not the first station in Taiwan to broadcast ethnic content. Hakka Television, set up two years ago, caters to ethnic Hakka - around 15% of the population - who migrated to Taiwan from the mainland hundreds of years ago. The stations represent efforts by the government to promote the island's indigenous cultures - stressing the island's unique and separate identity to the Chinese mainland, which still claims Taiwan as part of its territory. "Taiwan is multicultural; there are so many different peoples here," said Government Information Office Minister Pasuya Wen-chih Yao. "We have to know each other... and also preserve the languages, the culture and art," he said. Aboriginal groups had complained in the past that the mainstream media stereotyped them, and ignored important issues which affected their lives. They see the new station as a chance to redress the balance, and also challenge some of the prejudices towards indigenous peoples that many hold in Taiwan. It is a challenge for the small news team. "We have to listen to the people's voice, the people from the tribes," said Kolas, from Taiwan's Amis tribe, who works as an assistant manager and reporter at the station's news department. "Most indigenous people in Taiwan don't care about day-to day politics. They are facing tough problems, like unemployment, poor education... these are the kinds of issues we will focus on in the future. "Also, we earn our lives from the environment - mother nature - so that is an important issue, especially the rights of the land. It's the most important issue," she said. Taiwan's tribes, who trace their roots back 6,000 years, each have their own unique culture, customs and languages. The station will broadcast a mix of aboriginal language programming, and language learning slots, but much of the station's programming will be in Mandarin Chinese, which is widely spoken by aboriginal groups. One problem that station planners faced was how to ensure that people living in remote, mountainous communities could access the channel. The solution: to install satellite receivers in households. Jim Lu, of the Council of Indigenous Peoples, said the government had already spent more than $1m on installing satellite equipment for more than 10,000 households. The plan is to triple this figure. Other viewers can receive the channel on cable television - the government has assigned it as a "must-carry" station. The channel has set itself lofty goals to achieve. But Taiwan is already a media-saturated island, with eight 24-hour news channels; five terrestrial stations; 144 satellite channels; and 69 cable providers offering around 80-90 channels. But if the station manages to get viewers to begin to question their attitudes towards aboriginal groups, it will have gone some way to shifting Taiwanese society's attitudes to its unique tribes.